Paul Ohaga has more than 15 years of investment experience, mainly in Eastern Africa. He is currently managing the Kenya Climate Ventures making investments in innovative early stage enterprises offering innovative climate change solutions. Previously he was a partner with Fanisi Capital for six years, following a sector-agnostic investment strategy in Eastern Africa. 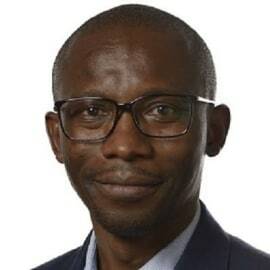 He has been a manager with IPS, an emerging markets focused private equity investment company owned by Aga Khan Fund for Economic Development, IFC and DEG. Before focusing on private equity, Paul worked in corporate finance at PricewaterhouseCoopers as a Manager.